In your 20s and 30s, you’d think that you’ve gone past the teenage drama of zits. However, as it turned out, it’s not the case. Your face is swelling with red, bulgy pimples, tempting to be popped. Acne doesn’t necessarily end when your high school days are over. If you’re plagued with the factors below, bad breakouts may just be something you’d have to deal with every now and then. Yes, yes, it sounds like the worst, most horrible beauty nightmare, but look on the bright side. If you know what exactly you’re up against, then you can easily make the necessary changes in your routine to give the TLC your skin badly needs. You can expect hormones to have some sort of role in any nasty stuff happening to your body. 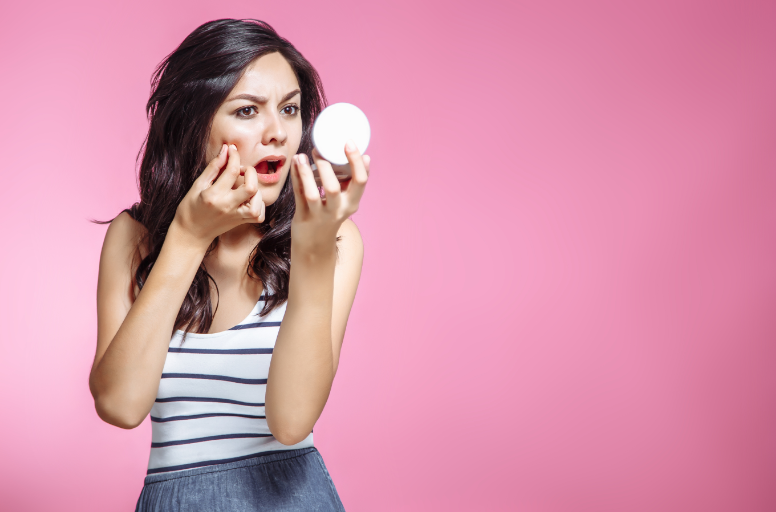 When before in your teenage years, you’d get breakouts as you experience the rage of hormones as you hit puberty, now in your adult years, you get zits as a result of fluctuating hormones. This is more common in women before or during their periods. In some instances, you may also be suffering a condition called polycystic ovary syndrome (PCOS), in which there are more male hormones in your body. This imbalance triggers oil glands, thereby increasing oil production, making you more prone to breakouts. 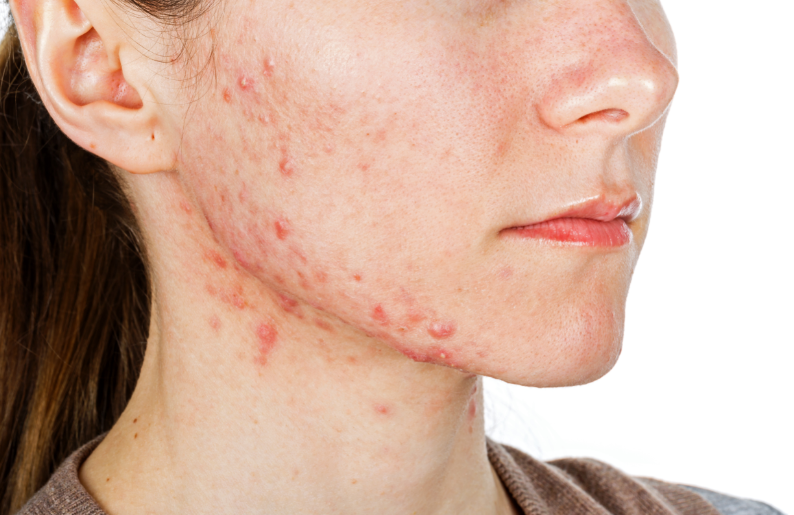 In case this is what’s causing your acne, your doctor may recommend birth control pills and medications that shrink the oil glands. If you’ve never worn cosmetics during your teenage years, only recently, given the popularity of everything about makeup, tutorials, social media, and influencers, then it’s probably worth looking into your beauty habits. Some cosmetic products, often those that are oil-based, can clog pores and may later on develop pimples. They might first appear as small bumps on the skin, but once they get inflamed, they form the dreaded zits. To prevent this, try to avoid oil-based products. According to a dermatologist, in Cottonwood Heights, go for only those that are labeled non-comedogenic. Note, though, that this isn’t guaranteed protection from breakouts. You have to be really familiar with your skin type to know which products would work for you. For that reason, consult your dermatologist. Despite religiously following a five-step or 10-step skin care, you can still experience breakouts. In fact, it may be the very routine you’re doing that is causing those nasty zits. If you’re cleansing more than twice daily, your face will quickly dry out, triggering the glands to produce more oil to keep up with the change. In addition, if you’re scrubbing your face in the hope of cleaning it thoroughly, that can actually backfire. Aggressive brushing can irritate the skin and just cause acne flare-ups. Go gentle on your face. Use mild products and apply them with light pressure. Rinse off with warm water. Then pat your face with a dry, soft towel after. The bottom line is that you don’t have to go so frequent and intense in your skin care. Treat your face as fragile. Adult acne is real. The struggle is real. The good news is that once you learn what exactly causes your flare-ups, you can readjust your skincare habits and make acne a thing of the past.